"Beginning the Conversation about the future of the Arts in Amador"
AmadorArts will hold the very first annual Amador County Arts Summit on Saturday, March 24 from 9:00 am to 2:00 pm at the Jackson Rancheria Conference Center. Invitations have been sent out for the event which will convene arts stakeholders, students, and business and community members to discuss topics and issues relevant to the cultural future of the county. Issues like the local arts community, education, the creative economy, tourism, a center for the arts, and more. 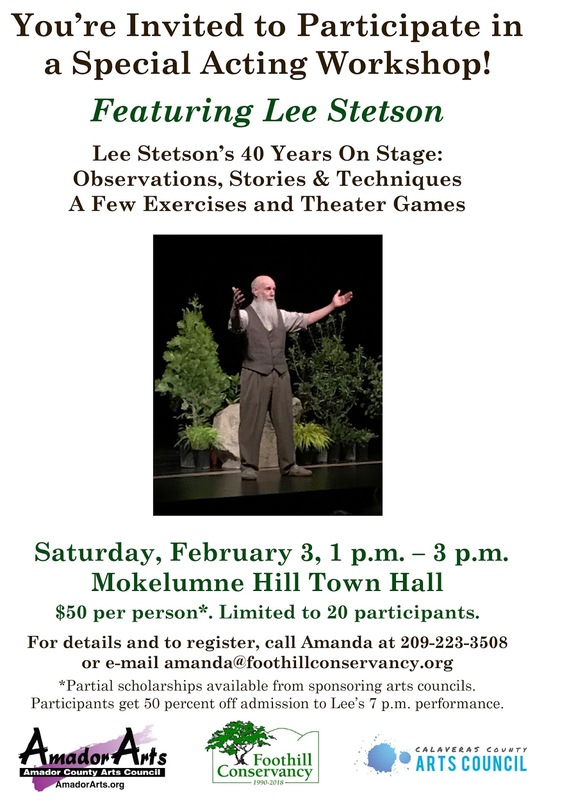 The idea is to bring together as many thinkers, movers and shakers as possible to find strength as a group to tackle issues important to Amador County. The Summit will begin a conversation and action that will continue for years to come. 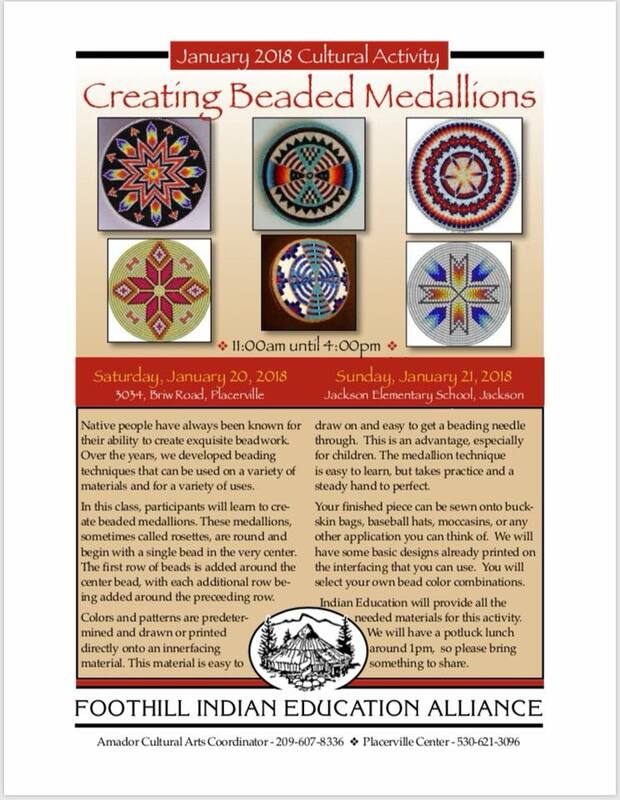 Executive Director Terra Forgette is lining up the Keynote Speaker, representatives from the California Alliance for Arts Education, local leaders, distinguished local artists, and student performances to inspire the audience to literally move ideas and concepts onto the discussion table. Dynamic small group discussions and panel presentations will be a part of breakout sessions. Planning a campaign to develop a Center for the Arts, a venue to present concerts, classes, varied events and more. Another highlight will be the recognition of Giles Turner for his 50 years involvement in the arts, particularly in drama and music for young people. A closing Mixer will be the celebratory time for networking with fellow colleagues. 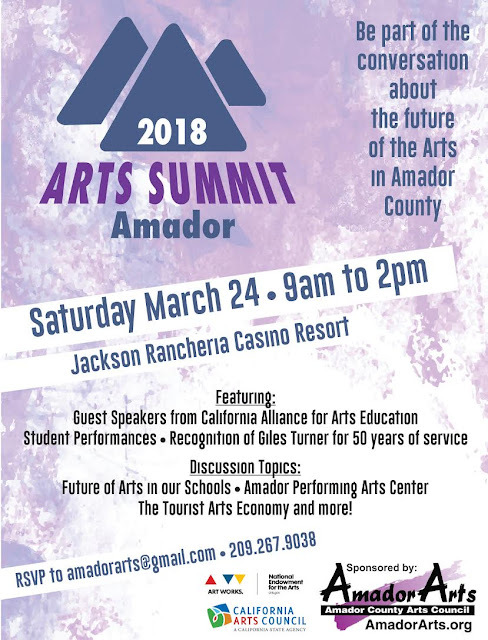 Be a part of an important conversation about the future of the Arts in Amador County. No charge. 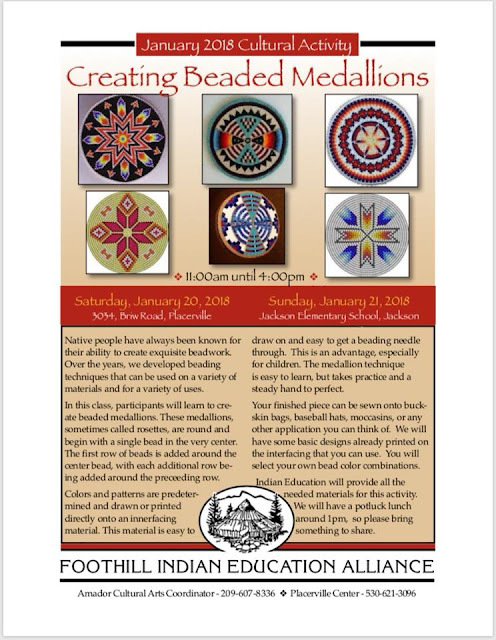 Please contact Terra Forgette if you’d like to receive an invitation: 209-267-9038 or terra.amadorarts@gmail.com RSVP’s will be accepted until March 15. The new year is a great time to start the habit of taking a monthly trip on the Amador Art Trek. The next First Saturday Amador Art Trek is on February 3, a free self-guided walk or drive-and-walk tour that provides easy public access to where art is located. 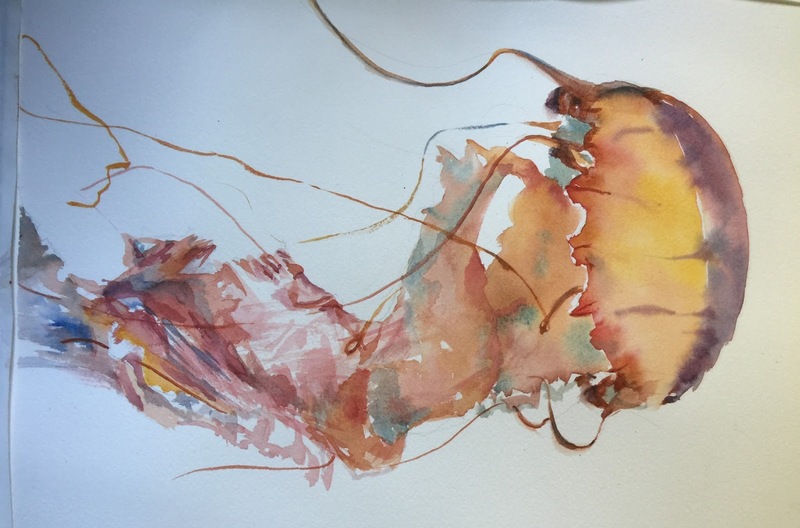 Part of Art Trek is the monthly “First Saturday”, when several participating galleries have receptions in the afternoon, 2-4 pm to kick-off their new shows. You can go on the Art Trek ANYTIME that these 11 galleries are open. Just so you know, a new 2018 brochure is in the works produced by the non-profit AmadorArts that will highlight the gallery participants. It’s a quick reference guide -- map, names, addresses, and hours. 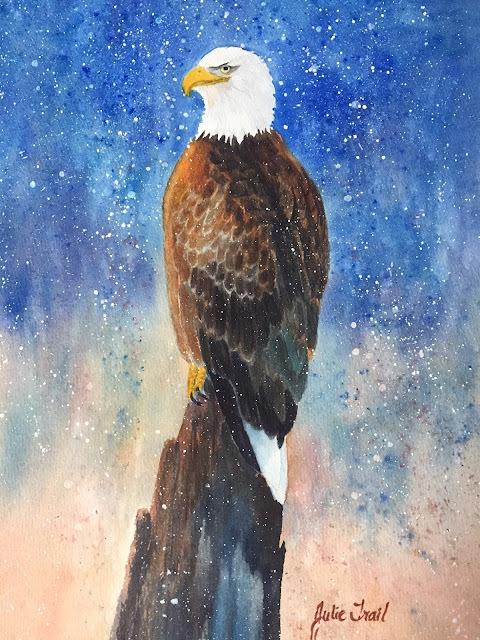 Fine Eye Gallery- Sutter Creek –Open daily 10-5:30 at 71 Main St.
Gallery 10 - Sutter Creek. - Open Thurs.- Mon. 11-4 at 15 Eureka St.
Little City Studio and Gallery- Amador City. After 19 years, Owner/Artist Carol Sethre has decided to close her doors so she can experience art and life like the rest of us, teach classes and rest on her laurels. Everything currently has a 20% discount and that will continue, with some items even further discounted in Feb. Also for sale are a few 'fixtures' and other art related materials, fabrics, and yarns. She plans to be completely out by Feb. 28. 14180 Main Street, Amador City 209-256-0781. Hours: Fri, Sat, Sun 10-5, or by appt. Petroglyphe Gallery - Mokelumne Hill - Open Thursdays through Sundays at 11:30 – 5 at 8317 Main St., Moke Hill. Sutter Creek Gallery “Art for Everyone”- Sutter Creek. Open daily 10 am – 5 pm, but closed Tuesdays at 35 Main St.
Add Art- Jackson. Open M-F 10:30 – 5; Sat. 10:30-4. Chaos Glass Works- Sutter Creek. Open Wed – Fri 11-5; Sat, Sun 10-6, at 121A Hanford St.
Charles Spinetta Winery & Wildlife Art Gallery- Plymouth. Daily 10-4:30 at 12300 Steiner Rd. Gifted –Local & American Made – Jackson. Daily 10-5 at 8 Main St.
Shenandoah Gallery at Shenandoah Vineyards – Plymouth. Daily 10-4:30, 12300 Steiner Rd. For more arts-related info visit: www.amadorarts.org or call 209-267-9038. Call for Stories spotlighted on new radio show focused on the "Arts Around Amador"
A new radio program has hit the local airwaves. Called Arts Around Amador the first 30-minute episode premiered December 2 and will continue every Saturday at 9:00 am on KVGC Hometown Radio. Featuring Amador County students and artisans, this show is chocked full of newsy information about local students, organizations, artists, and cultural highlights throughout Amador County. In a rural community where transportation often limits access to the arts, Arts Around Amador offers a lively and entertaining way to connect with and highlight the arts and artisans of Amador County culture and heritage. From watercolor to welding, no art form is off limits! 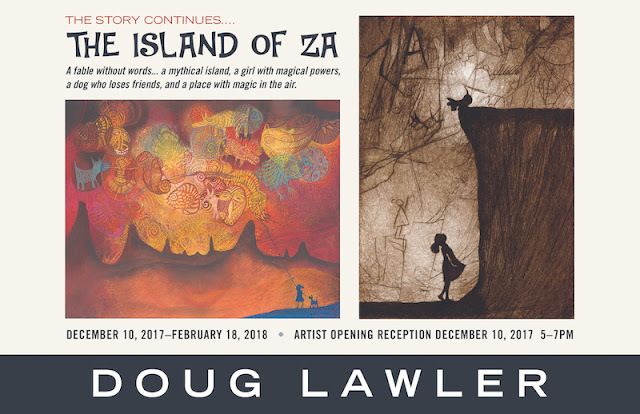 This show is a great way to celebrate the vibrant culture and creative economy of the Mother Lode. The public is asked to give on-going input so that this show is lively, timely and informative. Tidbits about arts in the schools, artists in the visual, performing and literary fields, about organizations presenting events, a favorite or little known “art-i-fact” – these are the kinds of items AmadorArts would like to share on the air. Contact AmadorArts to schedule an interview or provide information for the weekly Arts Around Amador Calendar featuring upcoming events. Call 209-267-9038 or email artsaroundamador@gmail.com . From your car or home or streaming, you can start listening every Saturday at 9:00 am on KVGC Hometown Radio, 1340AM, 96.5FM. Make it an artful habit to kick off your weekend. Arts Around Amador is made possible in thanks to the donation of KVGC Hometown Radio and the Guidi Family. The show is a production of AmadorArts and the Amador Alliance for Arts Education with funding from generous donors, members, and from the California Arts Council. AmadorArts is a non-profit organization, established in 1982, that actively promotes ALL the arts so that the region’s students, communities, and visitors thrive in a positive cultural environment. AUDITIONS! 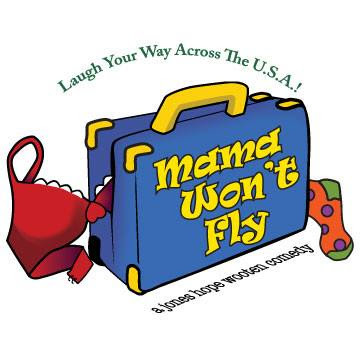 Main Street Theatre Works is holding auditions for their 2018 Summer Season at the Kennedy Mine Amphitheatre ~ MAMA WON'T FLY and ESCANABA IN 'DA MOONLIGHT. Get paid to play with us at this beautiful outdoor venue. Rehearsals in Sacramento until tech week. Place: Three Penny Theatre in the 25th & R Complex, SACRAMENTO. Cold reads from the scripts. From the same people who brought you Doublewide, Texas,"
laughing your way across country. The Soady clan reunites at their cabin for Opening Day of deer season. Eldest brother, Rueben, has never brought home a deer, and if he doesn't this year, he'll be the oldest Soady to never "bag a buck." But Rueben's brought more than ammo with him this year. . . This hilarious and heartfelt tale spins out of control as Rueben goes to any and all lengths to remove himself from the wrong end of the Soady family record book. 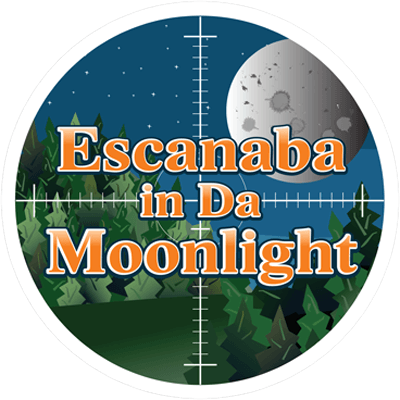 The parts of Rueben Soady and Wolf Moon Dance have been pre-cast.